This 9 days tour in Uganda or 9 days Uganda gorilla trekking safari Mgahinga, Kibale chimpanzee trekking tour & wildlife tour Lake Mburo is a combined mammals, primate and gorilla safari in Uganda. The 9 days Uganda safari, features a game drive and boat cruise at lake Mburo National Park and Queen Elizabeth National Park. 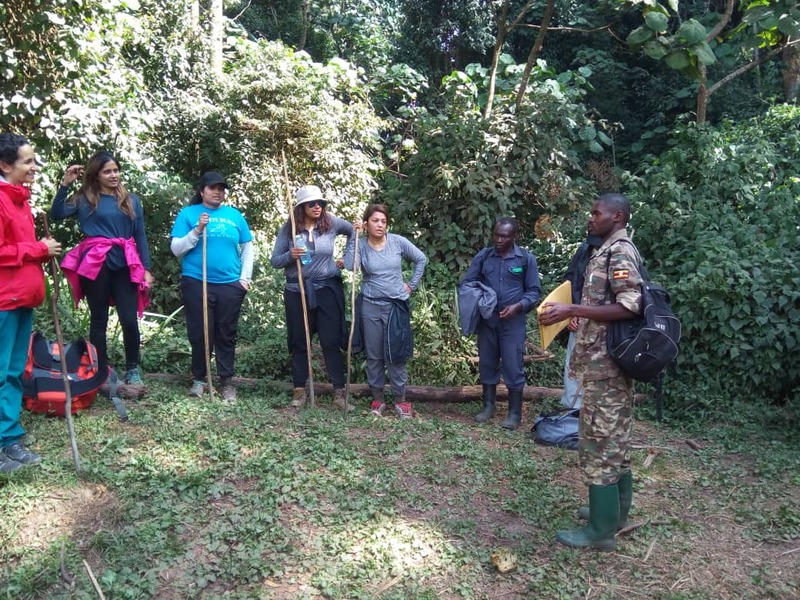 Gorilla trekking is featured at Mgahinga gorilla national park whereas chimpanzee trekking at Kibale forest national park alongside a canoe ride at Lake Bunyonyi. On day 1 upon arrival at Entebbe international airport, a knowledgeable driver guide picks you up from the airport for a transfer to a hotel/lodge in Kampala where you spend the night. Next morning, you are driven to Lake Mburo park with a stop at the equator and a boat cruise in the evening. The next morning you take a morning game drive then transfer to Mgahinga national park in the evening for gorilla trekking the next day. From Mgahinga, you are transferred to Queen Elizabeth national park for a game drive and boat cruise then after to Kibale forest national park for chimpanzee trekking. From Kibale forest national park, you are driven to Lake Bunyonyi where you undertake a canoe ride/boat cruise before return to Entebbe international airport for departure. Day 1: On arrival pick up from the airport is done by a professional driver guide for transfer to a hotel or lodge in Kampala where you spend your first night in Uganda. Day 2: After breakfast at the hotel, your driver guide transfers you to Lake Mburo National Park for an evening boat cruise with a stop at the equator line. Day 3: From your hotel/lodge, you go for a morning game drive then transfer to Mgahinga gorilla national park in the evening. 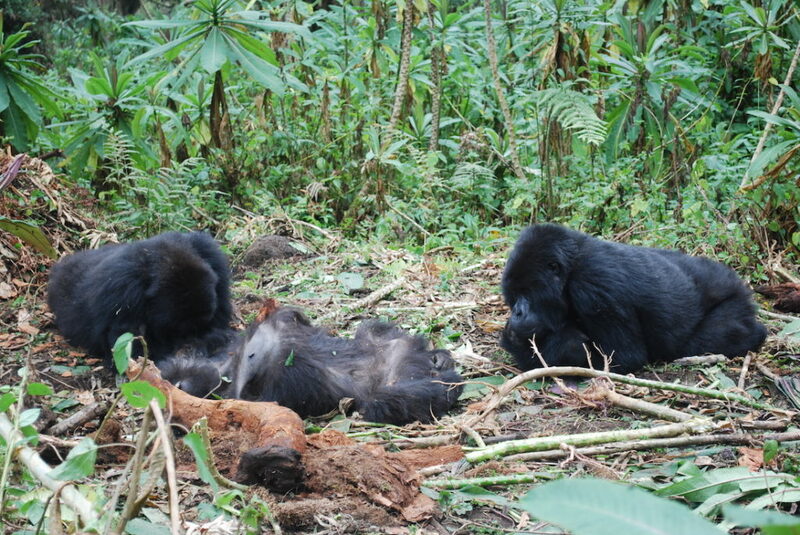 Day 4: After breakfast, you go for gorilla trekking within Mgahinga gorilla national park taking about 2-8hours. 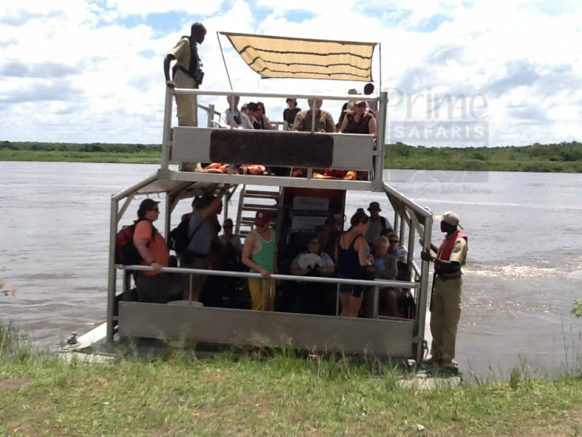 Day 5: Early morning, you transfer to Queen Elizabeth National Park and do an evening boat cruise later on. Day 6: Following a cup of coffee, you go for a morning game drive then transfer to Kibale forest national park in the evening. Day 7: Following breakfast, you go chimpanzee trekking at Kibale forest then be driven to Lake Bunyonyi in the evening. Day 8: After breakfast, you embark on a canoe ride to the historical punishment island with a local guide as they narrate the tales of this island. Day 9: From Lake Bunyonyi, your driver guide transfers you back to Entebbe international airport for departure. On setting foot in Uganda’s Entebbe international airport, a knowledgeable English-speaking driver guide welcomes you to Uganda, gives you a brief on the whole safari and then starts the transfer to a booked accommodation to one of the hotels in Uganda Kampala. On arrival you check in, have dinner and rest from jet lag as you wait for a start of your Uganda wildlife safari the next day. After morning breakfast at your hotel/lodge, your driver guide picks you up from your hotel/lodge for a drive to Western Uganda. A stop at the equator line in Kayabwe starts your safari for a memorable 30 minutes experience as you take pictures and do experiments at the world’s center line. The drive continues to lake Mburo park arriving for lunch and check in at a booked accommodation in Lake Mburo national park. In the evening, you take a boat cruise at the park which is the only Uganda safari national park with a lake. In the evening, you return to your lodging facility for dinner and an overnight stay. 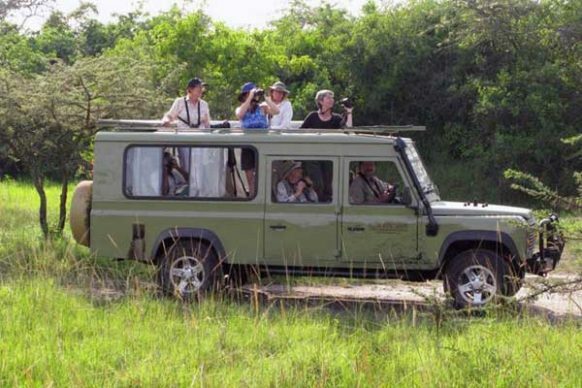 After a cup of coffee early morning, you are driven to the park for about 2-4 hours game drive. This is the only park in the country which hosts the calmest animals of the wild and therefore taking this morning game drive offers you chance to sight several wild species including Zebras, Kobs, Impalas, Common Elands, Oribi, Waterbucks and many more. After the game drive, you return to the lodge for a meal then be driven to Mgahinga national park where you spend a night at a booked accommodation in Mgahinga gorilla national park. Following your first breakfast at the gorilla land foothills, you are driven to Mgahinga park for a Uganda gorilla trekking safari experience. This a little bit strenuous activity on a hike to the Virunga mountains in search of the rare mountain gorillas that survive here. Starting with a briefing at 8:00am at the park by park rangers, you go to the jungle alongside 7 other Uganda gorilla trekkers and armed park rangers. Of the 2-8hours spent in the jungle, you only get 1 hour spent in the presence of these gentle giants then after return to the trek start point. On return, you receive a Uganda gorilla trekking certificate then be driven back to your lodging facility where you spend the night. After breakfast, you are driven to Queen Elizabeth National Park for more Uganda wildlife tour encounters. Arriving in the afternoon after about 3-4 hours, you check in and have lunch at an accommodation in Queen Elizabeth National Park. 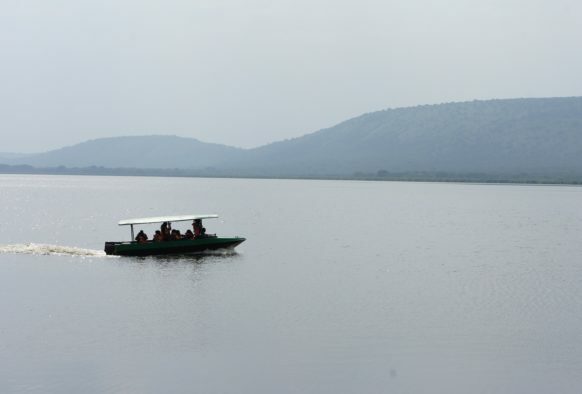 In the afternoon at 2:00pm, you go for an evening boat cruise along the 45km Kazinga channel that connects lakes George and Edward. This is the chance to view a profusion of crocodiles and hippopotamuses. In the evening, you are driven back to your lodging facility for diner and an overnight. By dawn, you are driven for an early morning game drive at Queen Elizabeth National Park starting at 7:00am. You watch early morning wild risers in action and take memorable pictures at for about 2-4 hours alongside your Uganda tour guide. You are driven back to your lodging facility for check out, a meal and then transfer to Kibale forest national park arriving in the evening. You spend the night at a preferred close accommodation in Kibale forest national park. After early morning breakfast, you are again driven by your tour driver guide to Kibale park for chimpanzee trekking. 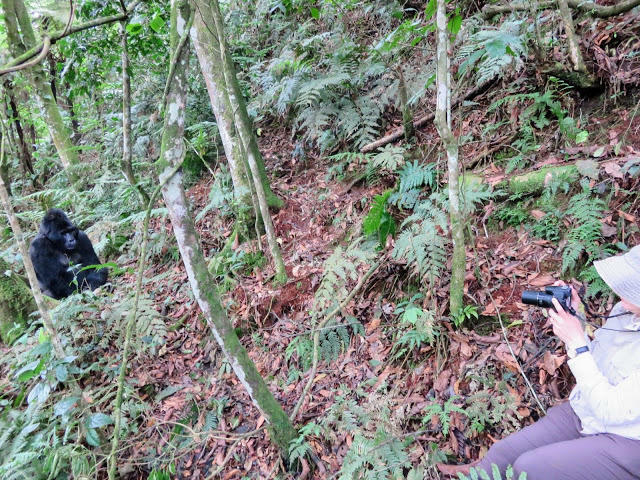 This primate tracking safari in Uganda offers you chance to trek man’s closest relatives at play as they chunk fruits and play around with their fellows. The activity takes about 2-4 hours before you have lunch and then embark on the drive to Lake Bunyonyi arriving in the evening spending a night at a lodging facility close to the Lake. After breakfast at the shores of Lake Bunyonyi-Africa’s deepest lake also popularly known as the lake of small birds you go for a canoe ride to the punishment island. Surviving with only a single tree this island has touching stories of the traditions that happened in this area in the past days. A local guide takes you through the stories of this place for about 1-2 hours then after return to the Lake shores where you relax for the rest of the day. The last breakfast on your safari starts the day early morning before you embark on a drive back to Entebbe international airport. Sighting the different lifestyles of the lovely people of Uganda, you are driven through the bustling capital of Uganda back to Entebbe international airport for departure. Depending on your departure time, you can go for craft shopping before you are dropped off at the airport for departure. 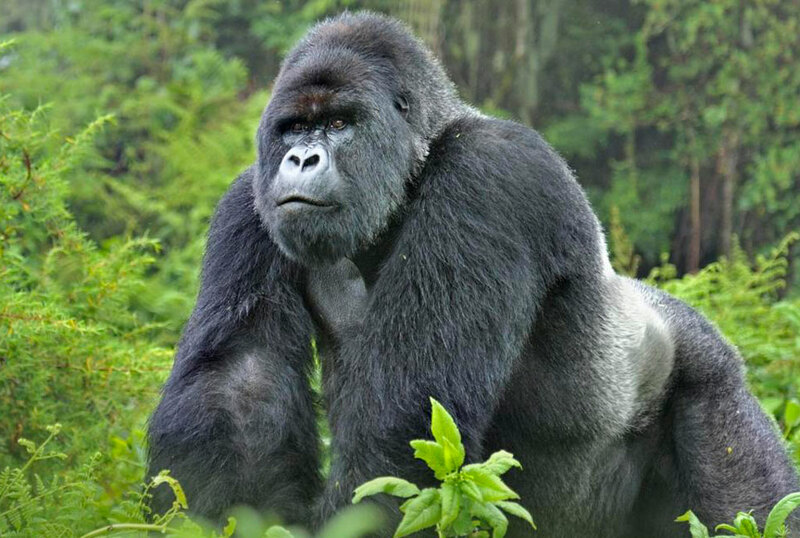 Mountain gorillas are a star attraction in Africa and a Uganda gorilla safari is one of the key safari activities in Africa alongside Uganda wildlife safaris. Within the same Virunga massif where Mgahinga gorilla national park is situated, other two parks of Volcanoes National Park for Rwanda gorilla safaris and Virunga National Park for Congo gorilla safaris are in the same region. Actually, Mgahinga gorilla national park is the only destination in Uganda where mountain gorillas co-exist with golden monkeys and if you don’t visit the park you actually miss out a lot.